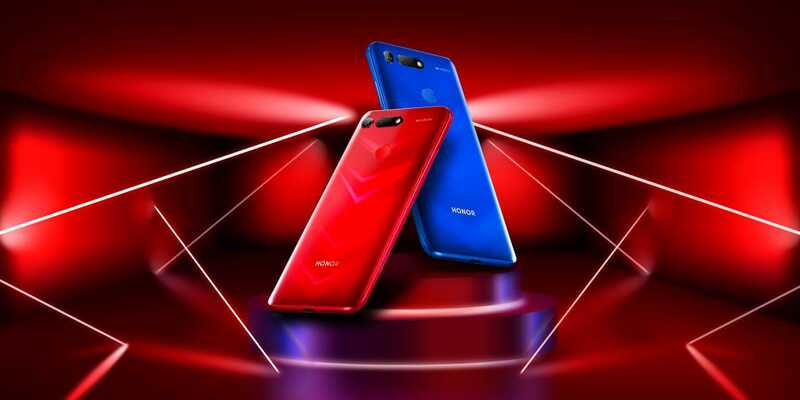 HONOR, a leading smartphone e-brand, has launched its latest flagship smartphone, HONOR View20, for the KSA market. The launch highlighted five world first features of the new HONOR View20 that include: 48MP Camera + TOF 3D Camera, 25MP In-screen front camera with a narrowest 4.5mm opening, 7nm SOC Kirin 980 AI Chipset, Aurora Nano-texture design and the Dual NPU which supports the AI Triple-Antenna Wi-Fi technology. The device was unveiled last week on January 22nd, 2019 in Paris. With 170% year-on-year (YoY) growth in overseas markets in 2018, HONOR has made significant strides towards its goal of becoming a “Top-5” global smartphone brand. At the global launch in Paris, HONOR has also announced upgrades to its brand image, with a new moving color logo, new “HONOR MY WORLD” slogan, and new mission of creating an intelligent world that belongs to young people. In this way, HONOR will continue to offer a stylish all-scenario experience to youth across the globe in every area of their lives and to set trends of pioneer culture and modern life style. HONOR View20’s rear camera is the first to be powered by the SONY IMX586 48MP sensor, with a 1/2-inch large CMOS, and equivalent 1.6μm pixels in Quad Bayer array. The sensor, boosted by the Kirin 980 chipset, supports new 48MP AI Ultra Clarity mode to produce photos with unmatched detail and clarity. The camera takes several 48MP pictures at once and collates the best details from each photo to create one 48MP picture. The Kirin 980’s Dual-NPU processes the photo using an advanced AI algorithm – the quality of the photo is assessed, details in dark areas are optimized, and colors are adjusted to appear more vivid. HONOR View20’s stunning design starts with the advanced in-screen front camera design. The innovative All-View Display with a front-facing 25MP Camera provides a notch-less viewing experience and an outstanding 91.8% screen-to-touch panel ratio. HONOR engineers use advanced holder with buffer design to precisely place the front camera under an ultra-small 4.5mm transparent hole created by advanced lithography processes. HONOR View20 surpasses competing in-screen cameras -- maintaining the structure and strength of the display, while ensuring better usability and photo quality. HONOR View20 is also the first smartphone to use nanolithography to create a Nano-texture - a vivid and dynamic V-shape color gradient with gleaming effect on the body. The smartphone’s integrated 3D curved body with an elegant arc design is only 8.1mm thick and consists of a perfect blend of metal and glass texture. The state-of-the-art design is an edgy interpretation of the HONOR brand. HONOR View20 possesses next-gen features: 7nm Kirin 980 AI Chipset with intelligent Dual-NPU; The Liquid Cooling System that can effectively dissipate heat for better performance; The AI Triple-antenna Wi-Fi technology prevents the signal from weakening when a user's hands cover the receiver; a 4,000 mAh battery for long-lasting and uninterrupted gaming; and large internal memory. HONOR View20 comes with innovative AI capabilities which bring a customized, easy-to-use experiences. HONOR View20’s 3D Camera and AI capability are capable of identifying over 100 kinds of food and provide calorie information to help you maintain a healthy lifestyle. The AI object identify can also identify over 300 famous landmarks and 100,000 paintings from around the world. HONOR View20 is available for purchase in Saudi Arabia at a price point of SAR 2299. At select retailers including Jarir, Extra, and in other phone shops on 29th Jan 2019. The smartphone is available in four colors: Sapphire Blue, MOSCHINO co-designed (Phantom Blue and Phantom Red). HONOR will also launch HONOR 8X Max in Saudi Arabia which is the enlarged version of HONOR’s hero product HONOR 8X. It comes with a 7.12-inch large screen, 5000mAh battery, 128GB big memory, and only with a price of1099 SAR. HONOR 8X Max will be on sale exclusively at Jarir bookstore on 31st Jan.